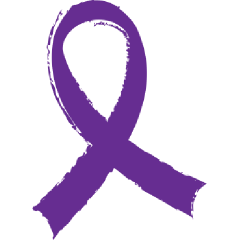 Don’t worry, if you don’t get to do something today, the whole month is Lupus awareness month. Everyone always thinks awareness months are only about raising money for the charity, walks, or research and although those things are really important, you can show your support other ways too. Just by showing your support for the people in your life who are living with lupus is a HUGE step. Most of us spend a big part of our days trying to explain to a doctor, a stranger at the parking lot why we have a handicap licensce plate, and even ourselves that we are doing the best we can. Hearing it from the ones we love could go a long way to help our self esteem and general well being. Even the simplest of tasks like taking out the dog for a walk, or picking up the kids from the bus stop seem so little to you, but might be a HUGE energy saver for someone living with lupus. So yes, awareness in the medical and political communities are very important, but awareness of how we treat each other here at home can start today, this minute. You have the rest of the month to do something nice for everyone you know living with lupus. Please wear Orange or Purple for Lupus Awareness Day on May 10th. Let’s spread the word and support lupus awareness. I live with lupus and so do some of my friends. Please educate yourself by going to the following websites: cureforlupus.org, lupusresearchinstitute.org, and couldihavelupus.org. Please help spread the word. We must educate ourselves, family, and friends. You could save a life. Join me in the alliance for lupus cure by spreading the word. Thank you.